If you live with a toddler then cereal, granola bars and other finger foods are probably part of your every day life. My toddler loves granola bars more than just about anything, and if it were up to him we would go through several boxes a week. 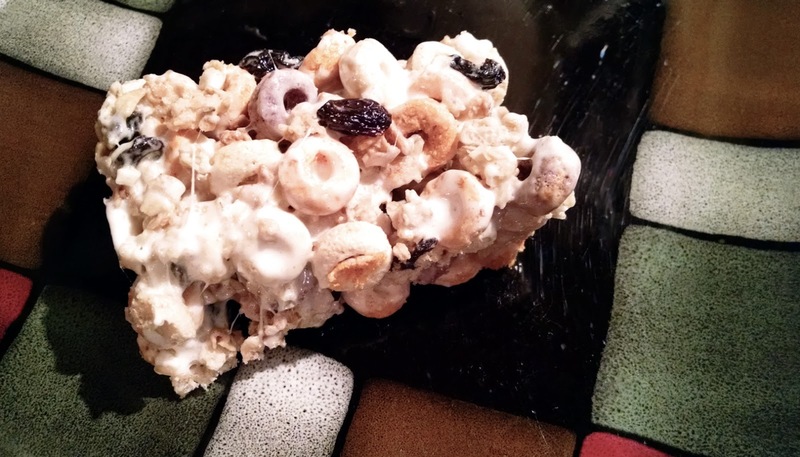 We compromise by making these delicious cereal bars together - it is a project easily handled by a 4 year old with adult assistance and is a fun way to learn about measuring, melting, mixing and ingredients that make up our food. Grease a 13x9 cake pan or casserole dish. (We use Grape Oil for this step). In a large stock pot, melt butter on low heat. Use this small amount of butter to show your toddler how to stir slowly and carefully. Your pot will become warm near the rim, but should not get so hot that your toddler will be injured should he/she bump it while learning to stir. Add all 30 marshmallows to the pot, counting each one as you go. Stir to coat with melted butter, then let rest about 1 minute before stirring again. Let rest & stir every 1-2 minutes until marshmallows are melted. Talk about the process of applying heat to melt something with your toddler. During your breaks of stirring the marshmallows measure your cereal, granola and raisins and pour into a large bowl. Mix well with a separate spoon (you don't want that marshmallow goo on it just yet). Once marshmallows are melted down completely, pour your cereal mixture into the stock pot. Grownups will need to stir at this step, as it takes some effort to coat the cereal completely. Pour your marshmallow cereal mix into the prepared pan. Cover with a sheet of wax paper. With your toddler, press the cereal down firmly until it is packed evenly into the pan. Let rest for 15 minutes until the marshmallow has cooled enough to free from the wax paper easily. Grownup step: Using a knife, cut into your choice of squares or bars. A whole pan of cereal bars is a lot to handle at once (although these bars are so delicious that your child will try). After cutting, I pack about 2/3 of the batch into tupperware containers and keep them in the freezer to eat at a later date. The rest I cover and leave on the counter until they disappear. Is the stove dangerous? When can we use it? Why is it important to pick healthy ingredients for our project? Will we keep these treats for ourselves, or share them with others? Do we like cooking together? Why or why not? Why do we measure things? Steals and Deals: Get a copy of my newest book for FREE! 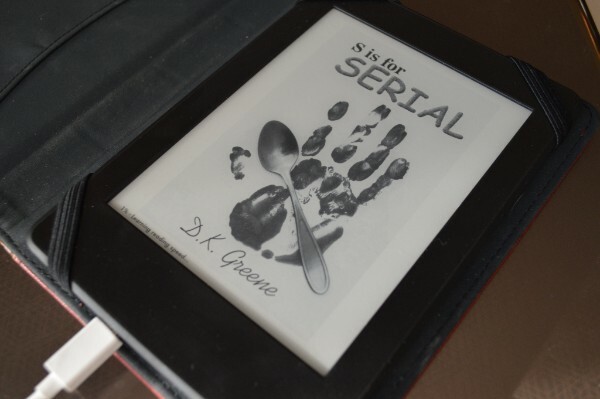 I am VERY excited to announce that S is for Serial under my author name D.K. Greene is FREE to download on Amazon Kindle through this Sunday (2/21/16). The novel has already begun climbing the charts, and is sitting at #14 on Amazon's Top 100 Best Sellers in Paranormal Fiction as of this morning. Hundreds of copies have already been downloaded through this promotion, and I am hoping to give away an additional 300 copies before the end of the week. If you have been waiting for "the perfect time" to download S is for Serial, this is it! If you enjoy the book, please do go back to Amazon to leave a review. It will help future readers find my work to see if it is the right book for them. Read for Roughneck! Learn how your love of books can help provide needed healthcare for Denise Kawaii's husband. 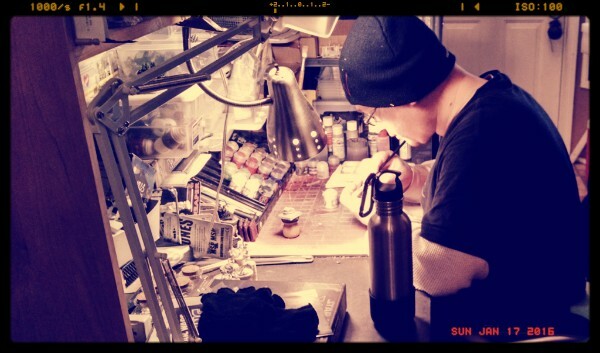 Mr. Kawaii, aka "Roughneck", crafting at his workbench. Please Read To Raise Money for a CT Scan and Meds. It has been a long few months. Mr. Kawaii, AKA "Roughneck", began to have flu like symptoms this summer following closing our family owned store. His illness has gotten progressively worse, with symptoms that would make even the most staunch horror fans squirm. Let's just say that his body has stopped properly digesting food, he has lost nearly 60 pounds since August, and although the doctors suspect Crohn's Disease there hasn't been any marked improvement with treatment (Western or Natural medicine - we've tried just about everything). Roughneck is currently on leave from work and spends most of his time resting, researching and having lab tests done. Even with insurance his treatments are expensive and we are on the cusp of losing the little financial stability we have left. We have been selling what we own of value to try to keep up, but it is a hard race to win. As an example, the main medication Roughneck is on has a $1,200 price tag on the next 30 day refill. That is out-of-pocket as we have not yet met our annual deductible (Because, hey! It's January!). We have been doing our best to keep this sob-story under wraps, but now it is time to swallow our pride and ask for help. I have debated doing a GoFundMe or similar fundraising campaign, but we live in a world saturated with people in need and I don't think it's fair to expect others to give something for nothing. The fact is, I write books and I would rather you get a book to read, give as a gift, or donate to your local library. At least then you get something out of the deal, right? So here is what I ask. If you have already purchased, been given, or won one of my books (either byDenise Kawaii or D.K. Greene), please bump it up your "To Read" stack and if you enjoy it consider leaving a review on your favorite book buying site. If you have a friend or family member who likes to read, please let them know that my books exist. If you are a public library user, please ask your librarian to order a book in for members of your community to check out. And if you haven't read any of my books, please do consider them the next time you are on the hunt for something to read. I've listed the titles to the right of this plea, so please feel free to click and research. If you have Kindle Unlimited, you can read most of them for free (and then I get a small % of your subscriber fee). Jacobsen's Books & More in Hillsboro, Oregon also has hard copies of most of these titles if you want to support a local store. They are closing next month, sadly, so if you've been putting off checking them out I encourage you to do so. They have been a wonderful supporter of me and many other local authors, and I am glad to count them among my friends in the book world. Thank you so much for reading this e-mail, and for helping our family to do our best to get Roughneck back in good health. A tale of family, breakfast and murder. 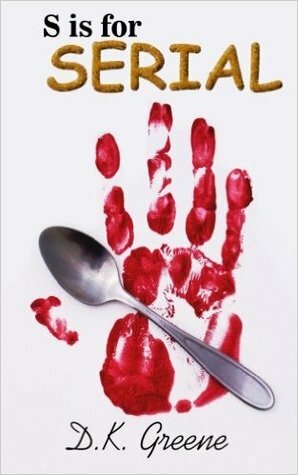 D. K. Greene is a new psychological horror author title under the /KawaiiTimes.com publishing banner. 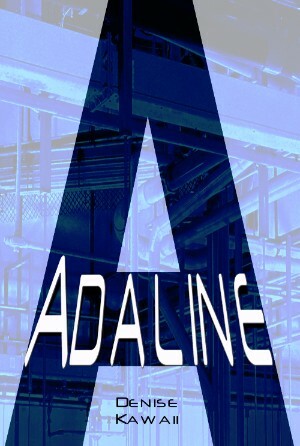 A Sci-Fi adventure for readers 10 and up. 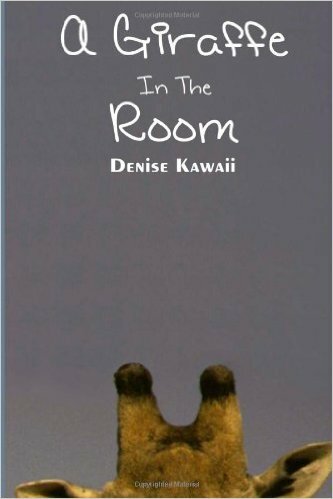 Denise Kawaii delights in this tale filled with robots, mad scientists and clones. Medical Fiction for families who have experienced degenerative brain function. A heartfelt tale of life from the speculative perspective of Alzheimer's / Dementia patients. My debut novel, and where the publishing all started. A contemporary romance starring a troubled young woman, chat rooms and online dating. Perfect for anyone who was lonely in the 90's. 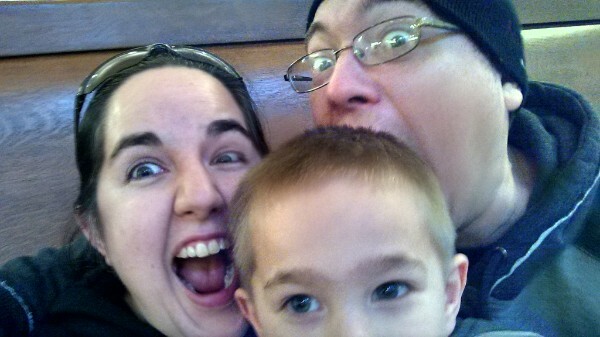 The Kawaii family on one of Roughneck's "good" days.